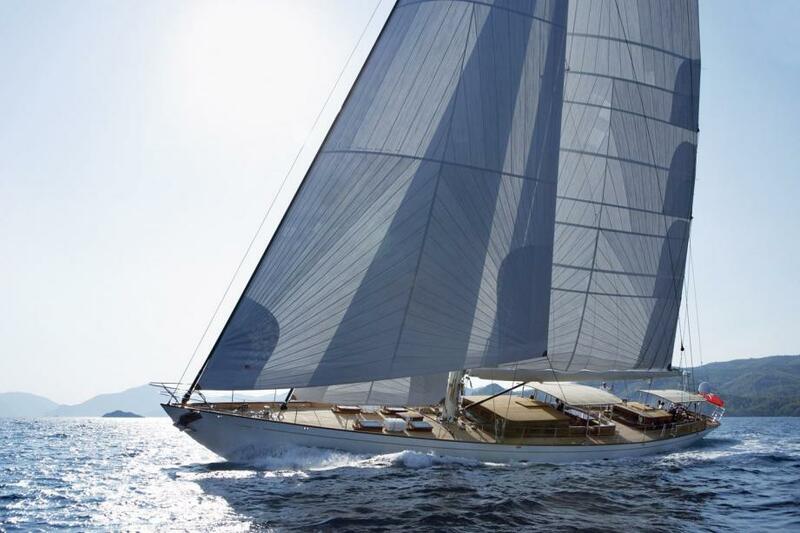 The 32,9m luxury sailing yacht EUGENIA VII (ex JAZZ Jr.) was built by the respected builders Turquoise Proteksan in 2009 and is a perfect example of modern performance with classic style and charm. She sleeps 8-10 guests in 4 spacious and beautifully decorated cabins and is well equipped with air conditioning throughout. 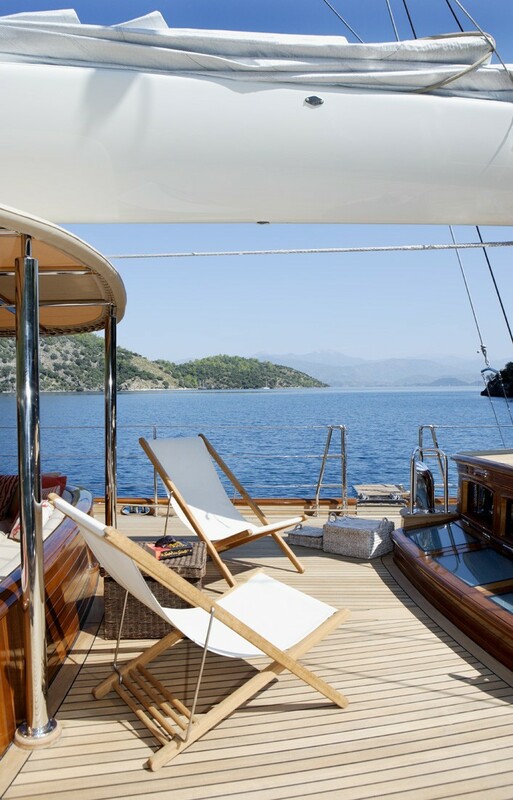 Luxury sailing yacht EUGENIA VII has a classic and homely interior, combining warm wood floors and paneling with cream upholstered furnishings, soft pastel cushions and nautical art, and top quality linens with subtle coral and shell motifs adding colour. 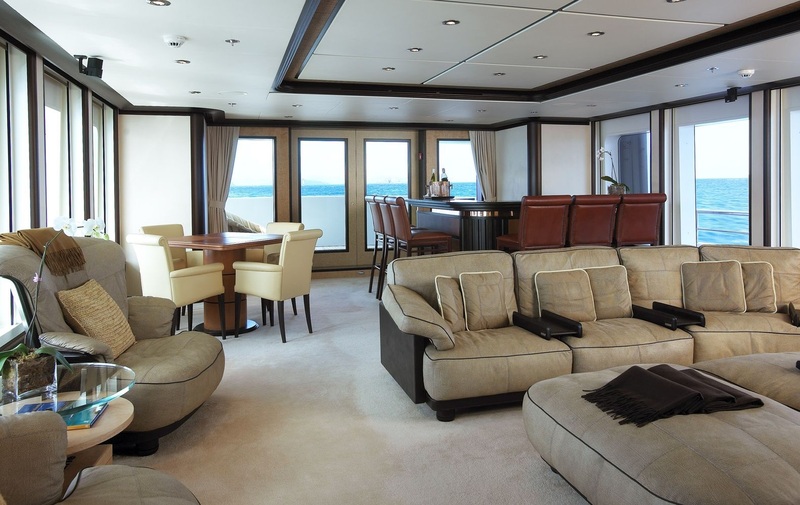 EUGENIA VII has an attractive lower salon with a comfortable seating area, and a main upper salon with a sofa and coffee table which converts to a dining table for 8 guests, where you can dine in comfort and enjoy the view. 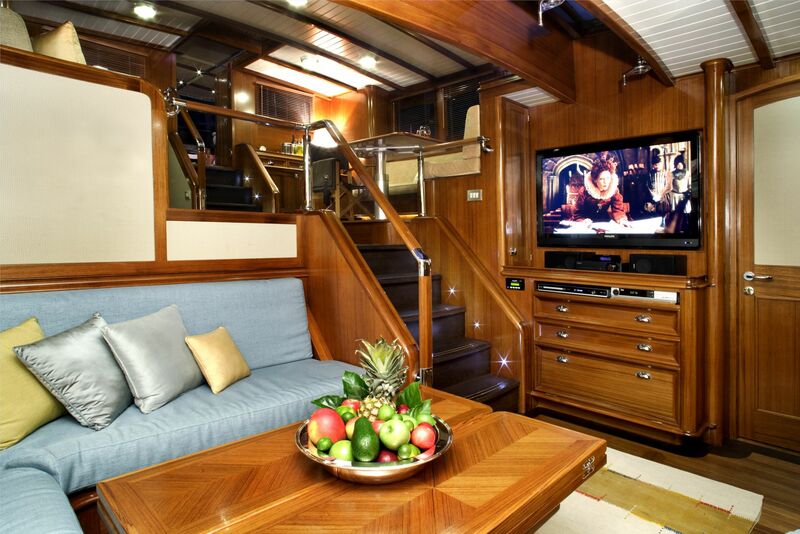 Sailing yacht EUGENIA VII is also well equipped with a full entertainment system with a 47' LCD TV, CD and DVD player and iPod dock. 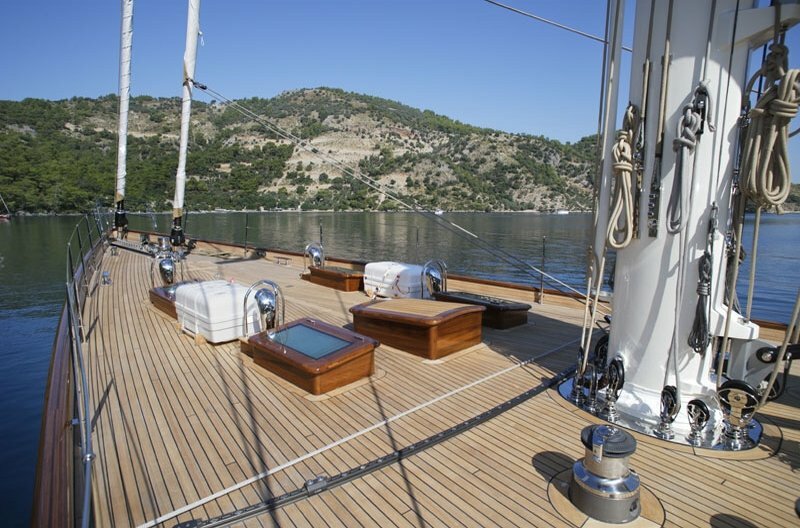 Sailing yacht EUGENIA VII offers a good range of deck space to vary your experience on board. 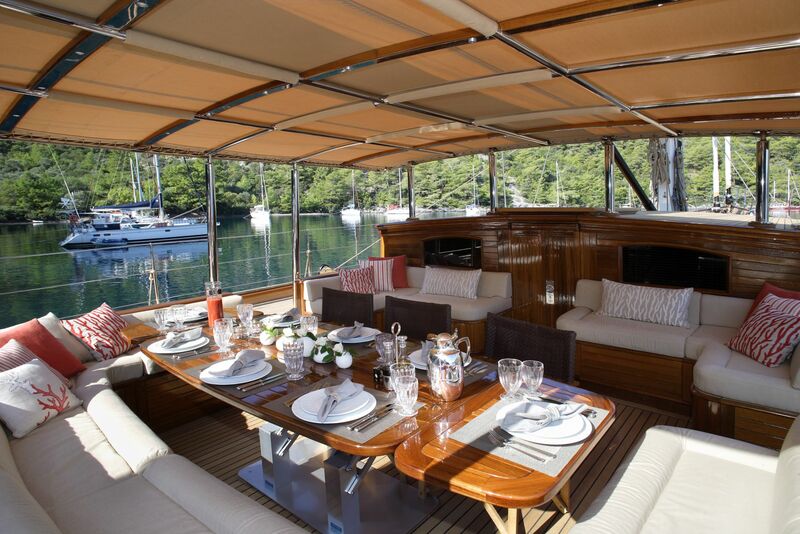 The central guest cockpit has plenty of seating and a dining table set under a permanent bimini for shade with al fresco dining for ten guests. 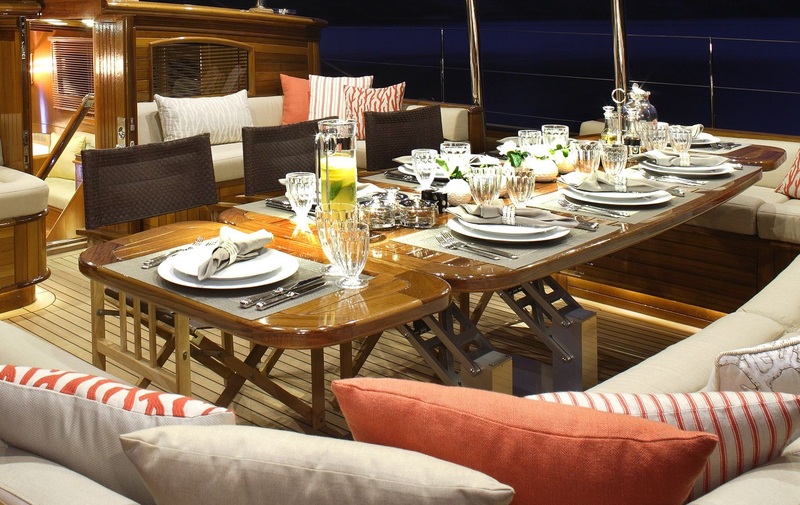 The large, adjustable dining table can be lowered for use as a coffee table. 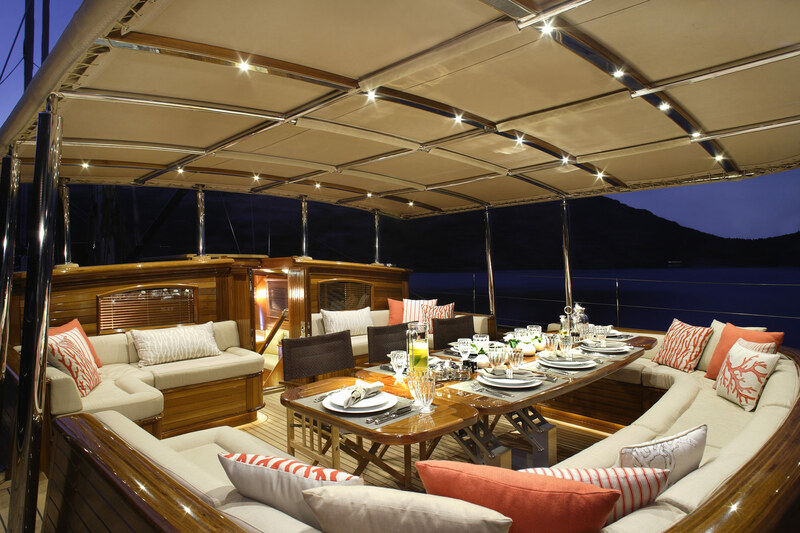 There is built-in cushioned seating and movable leather and teak director chairs. 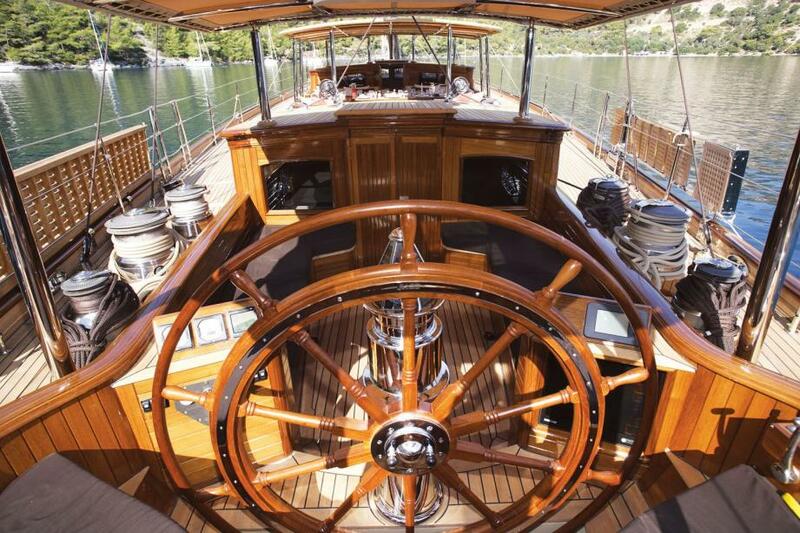 The cockpit and surrounding deck area are free from winches, cleats, and lines. 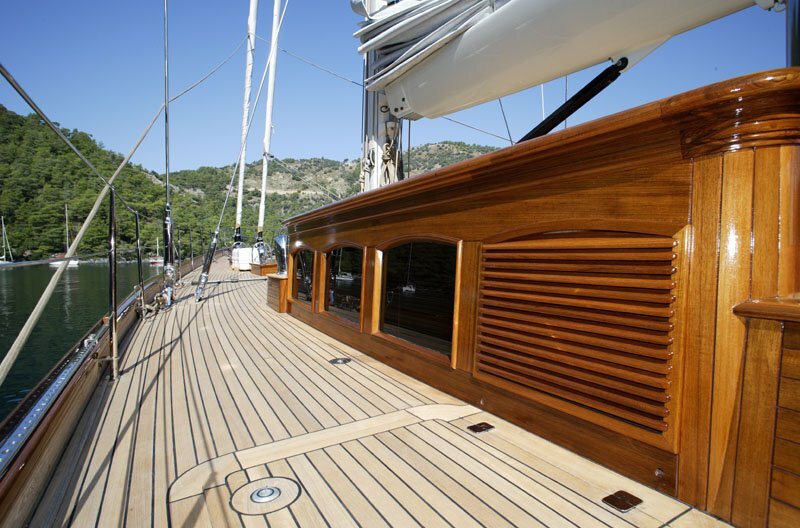 A davit mounted on the mast can easily launch the tender stored on the foredeck. 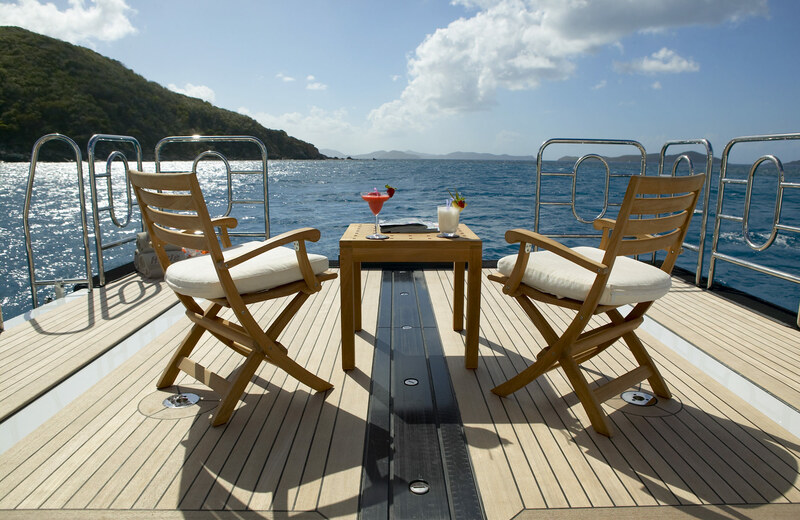 There is room for lounge chairs aft of the center cockpit and before the aft deckhouse. 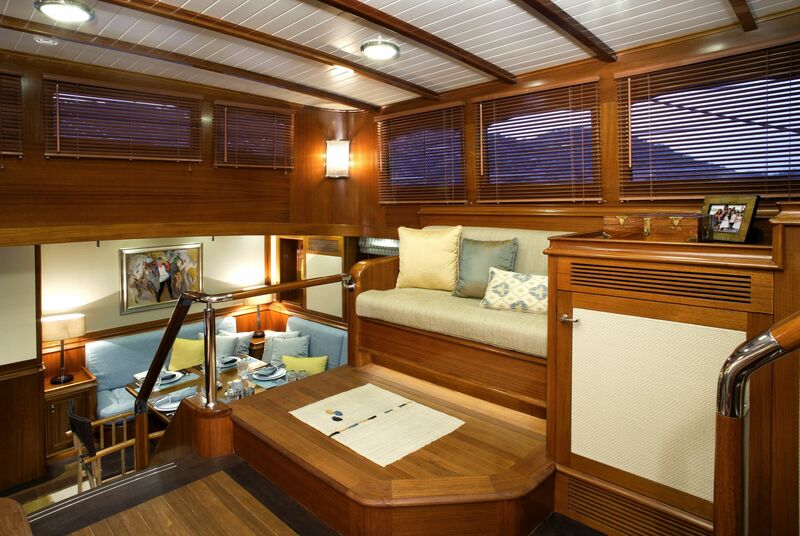 Further aft, the aft cockpit, and deckhouse also have a permanent bimini, helm station and additional seating for guests. 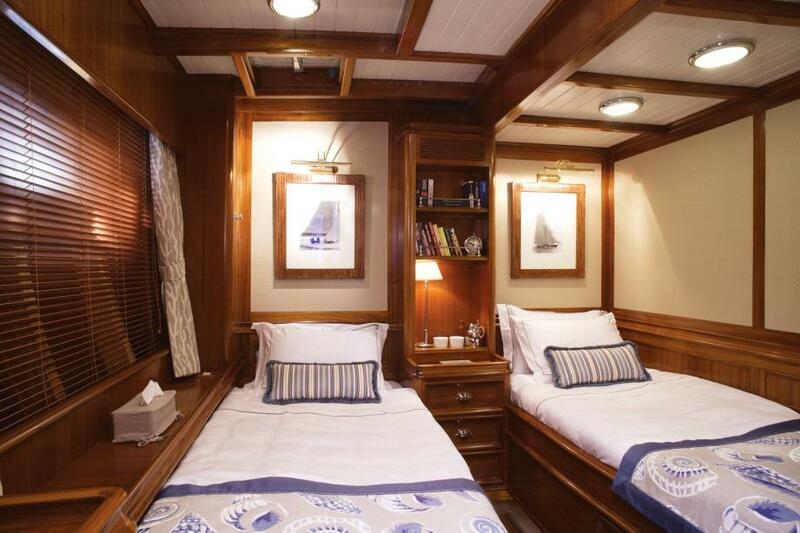 The master stateroom has additional access from the aft deckhouse. 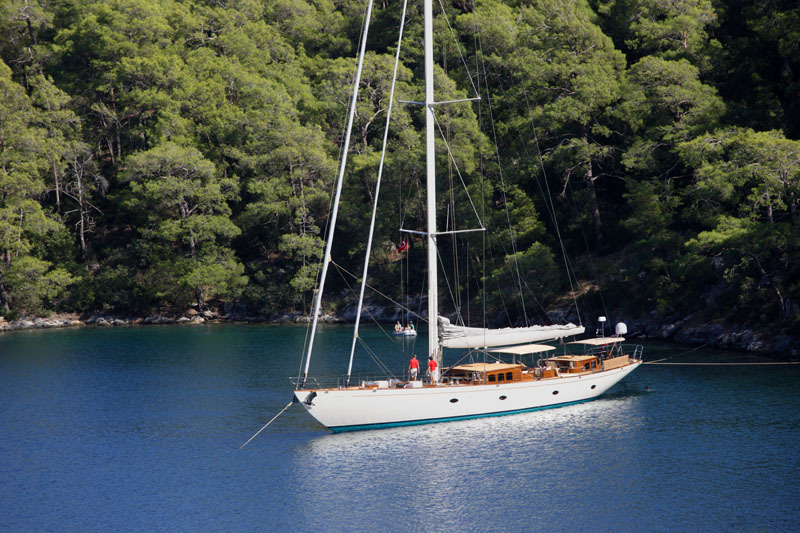 Sailing yacht EUGENIA VII has 4.3 meter AVON Jet ender with 99hp engine, Mahogany sailing dinghy with electric motor, Water Skis and Towable Toys including 1 Banana for 3 people, 2 x Ringos, 1 Kneeboard, 1 Kayak for children and 1 Kayak for adults, Snorkeling equipment for all sizes, Fishing Gear, Portable Sun beds, 2 Sun Chairs and 4 x Mini Floor Chairs. 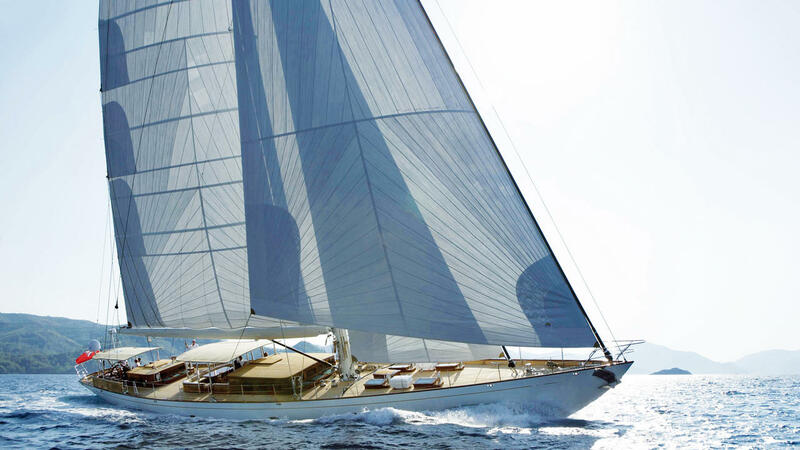 EUGENIA VII measures 32.9m (107.09 feet) in length, has a beam of 7.2m (23.6 feet) and a draft of 3.60m (11.8 feet). 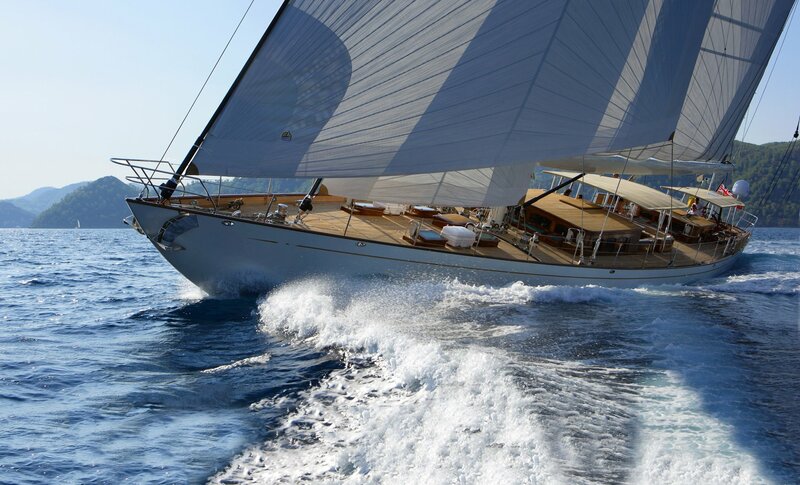 Sailing yacht EUGENIA VII has 4 crew and sails comfortably at 10 knots. 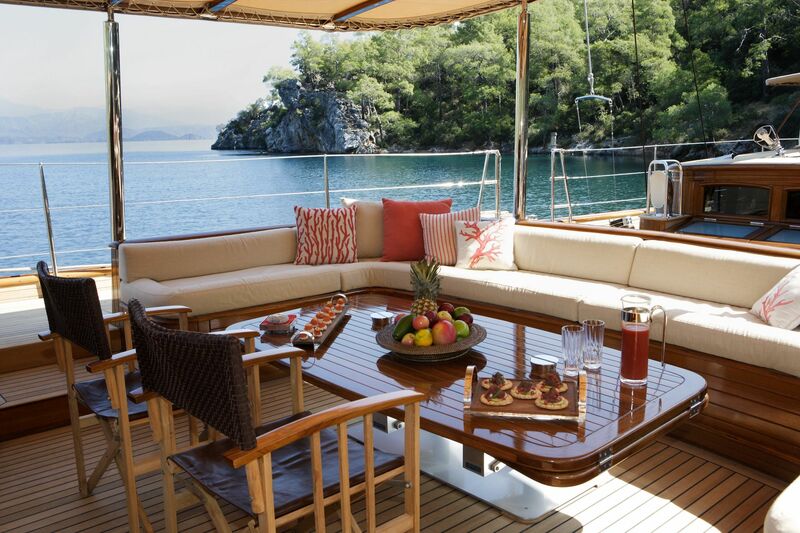 EUGENIA VII is able to accommodate up to 8-10 guests in 4 cabins. 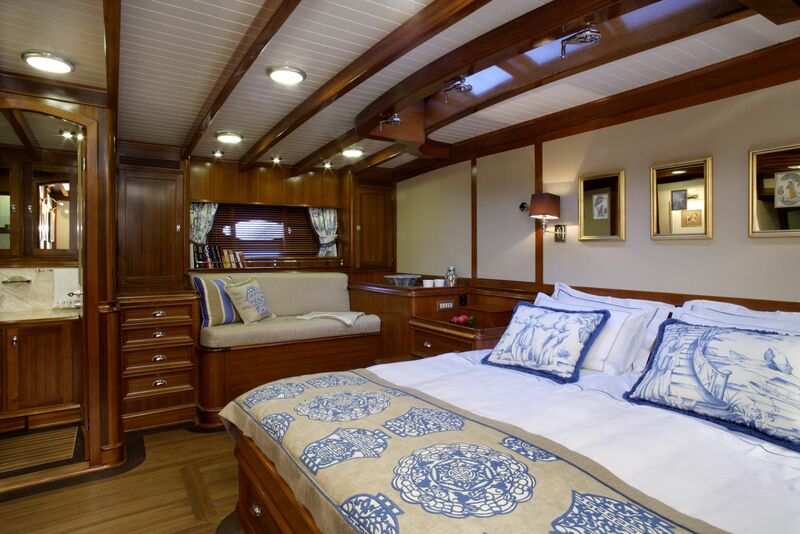 The Master Stateroom is located Aft and has a King bed with settee, ensuite marble and teak bathroom with shower. 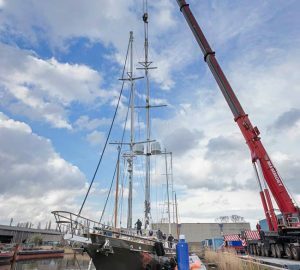 There is an additional exit/entrance from the aft deckhouse and cockpit. 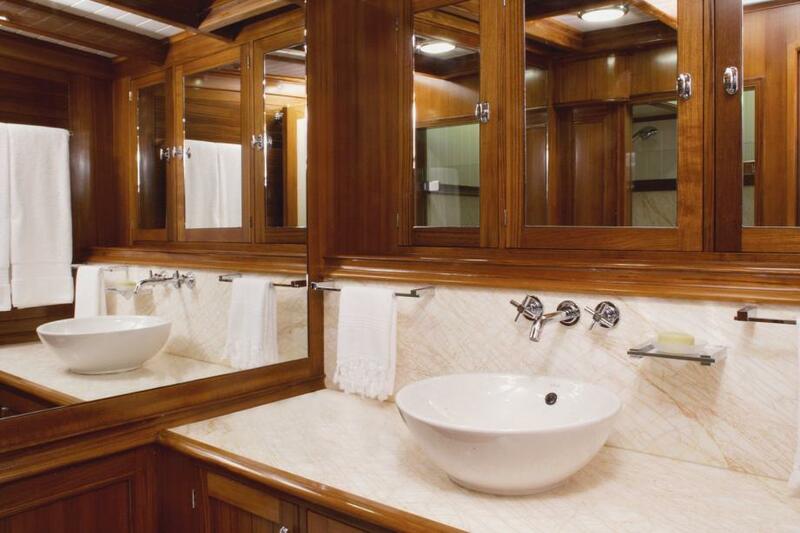 The Guest Stateroom Port, amid ship has a Queen bed with ensuite bathroom with shower and the Guest Stateroom Starboard, amid ship has Twin beds with ensuite bathroom and shower. 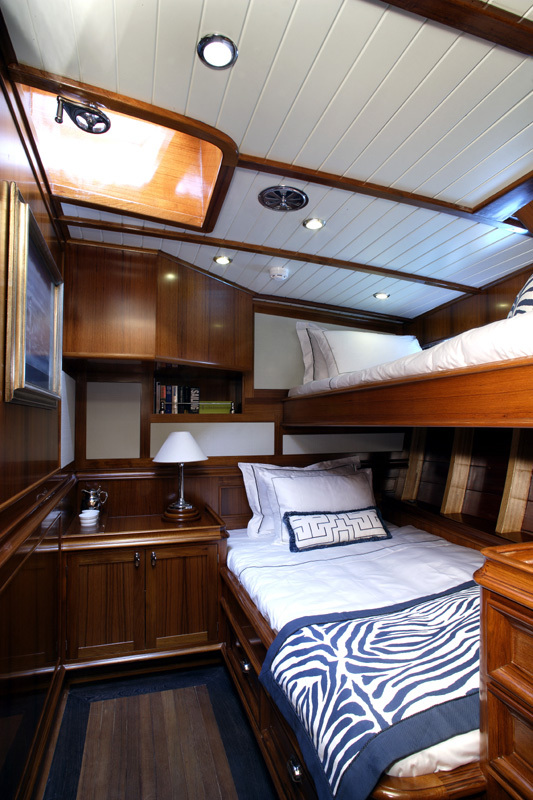 The Guest Stateroom Forward, Port features wide lower single berth with standard upper single. An ensuite bathroom with a shower can also serve as a day head. 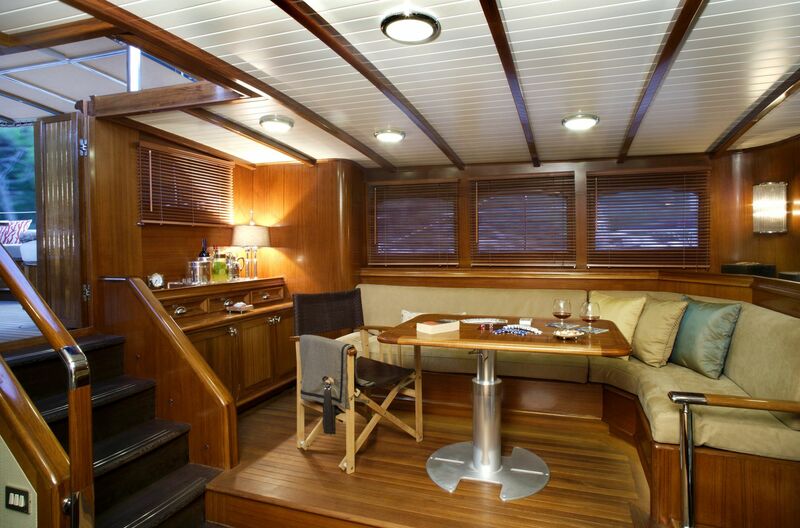 All staterooms are located below decks and have plasma TV's and iPod docking stations, fans, air conditioning and opening hatches and skylights assure comfort at all times. 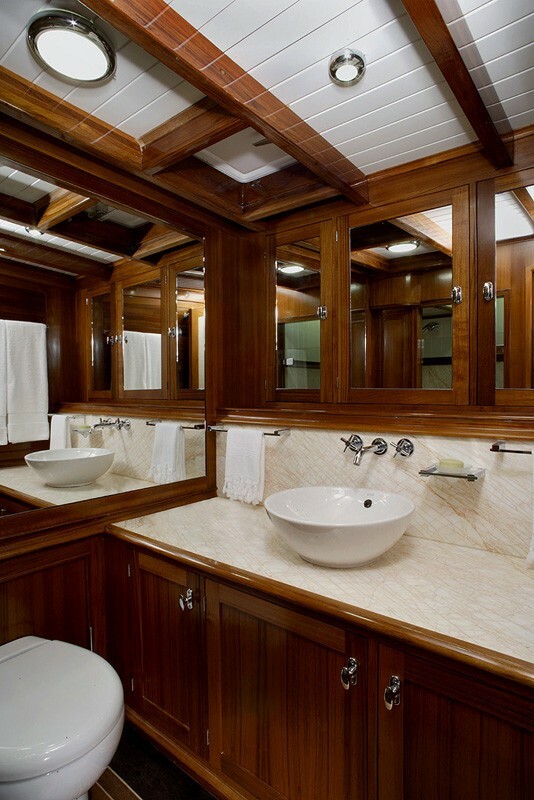 The walls are teak with woven leather paneling and marble accents in the bathrooms. 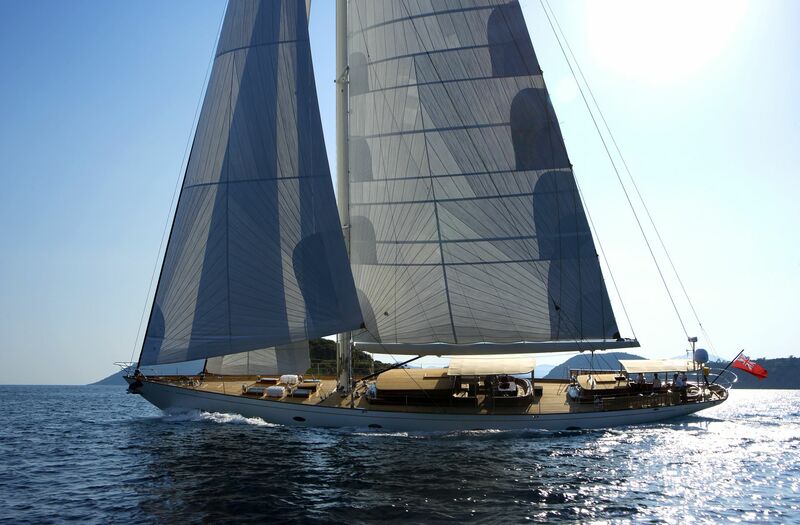 EUGENIA VII has the following yacht amenities onboard: Tenders & Toys include a 4.3 meter AVON jet tender w/ 99hp engine, Mahogany sailing dinghy with electric motor, Water skis and towable toys including 1 banana for 3 people, 2 x ringos, 1 x kneeboard, 1 kayak for children and 1 kayak for adults, Snorkeling equipment for all sizes including children, Fishing gear, portable sunbeds, 2 sunchairs and 4 x mini floor chairs. Communications include WiFi Internet access and a laptop for guest use. 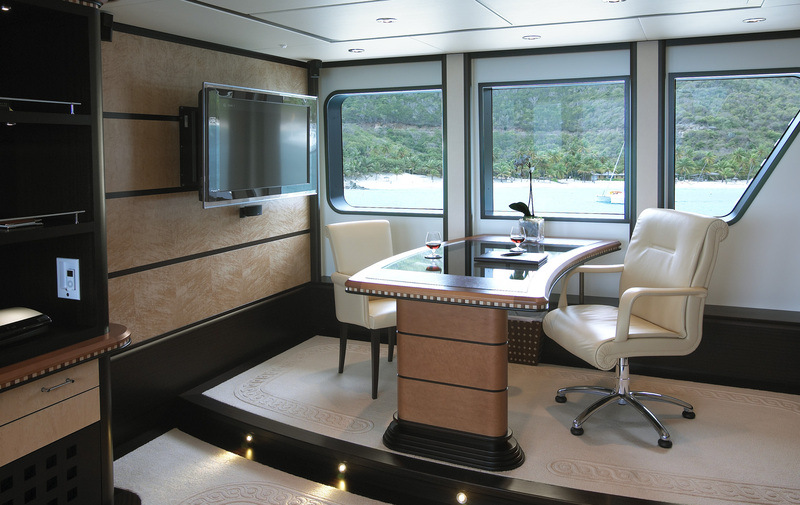 Audio Visual Equipment and Deck Facilities include Satellite TV where available Speakers in the saloon and in the cockpit iPods and iPod docking stations in all the staterooms. Movie library in the saloon. 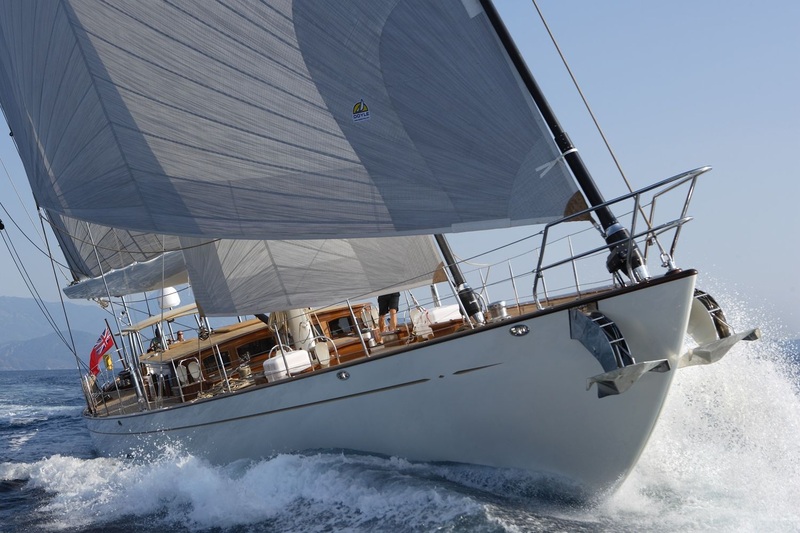 The 32m Yacht JAZZ JR.